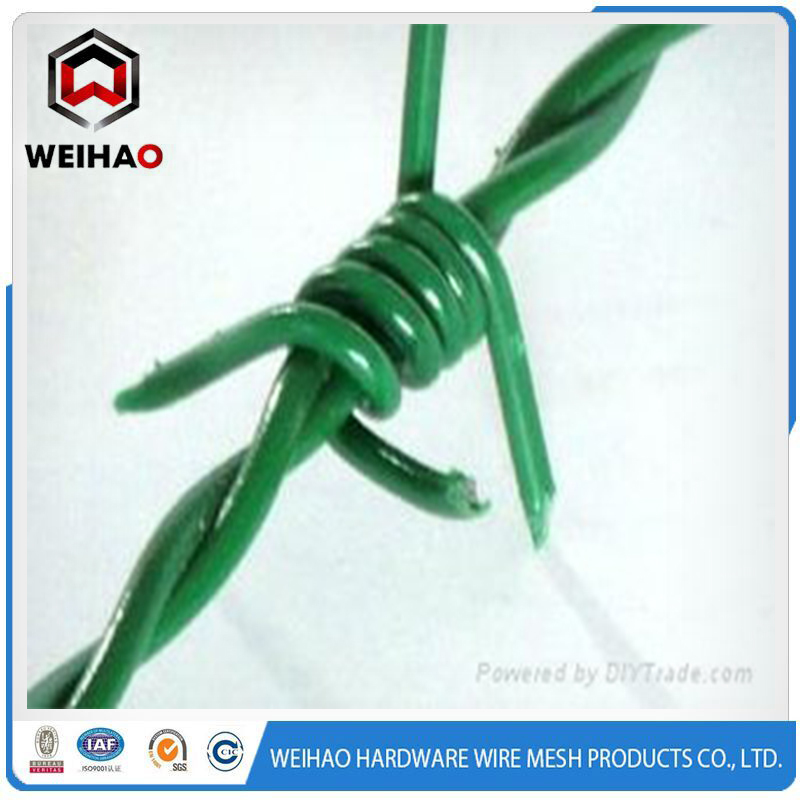 Product categories of Barbed Wire, we are specialized manufacturers from China, Barbed Wire, Pvc Coated Barbed Wire suppliers/factory, wholesale high-quality products of Razor Barbed Wire R & D and manufacturing, we have the perfect after-sales service and technical support. Look forward to your cooperation! Barbed Wire is twisted by fully automated barbed wire machine. 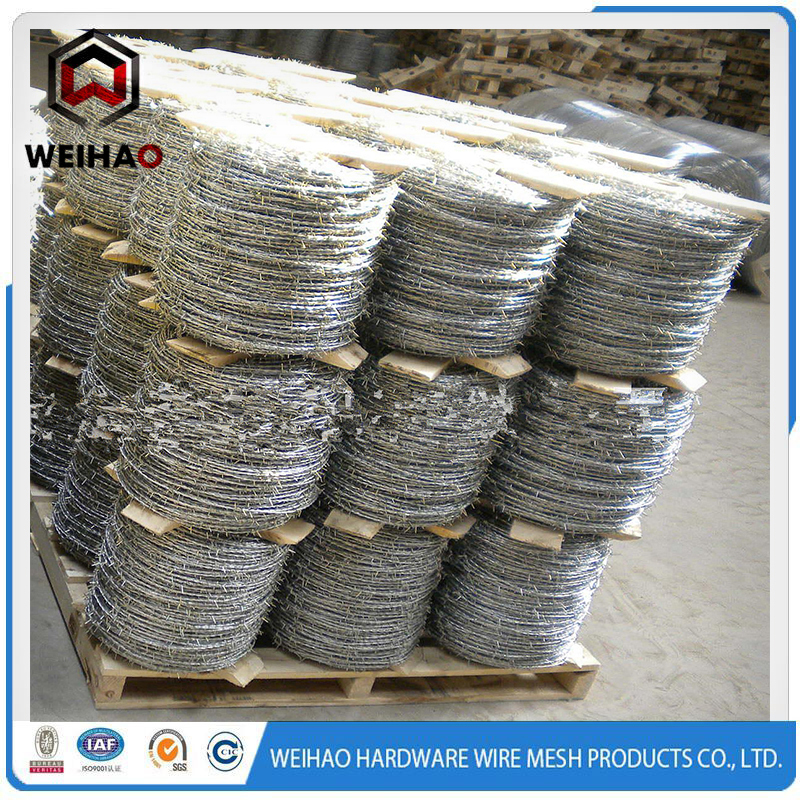 Raw material: superior low carbon steel wire. Surface treatment: Electric galvanized and hot-dipped galvanized. Plastic coated and spray with the color of blue, green, yellow etc. 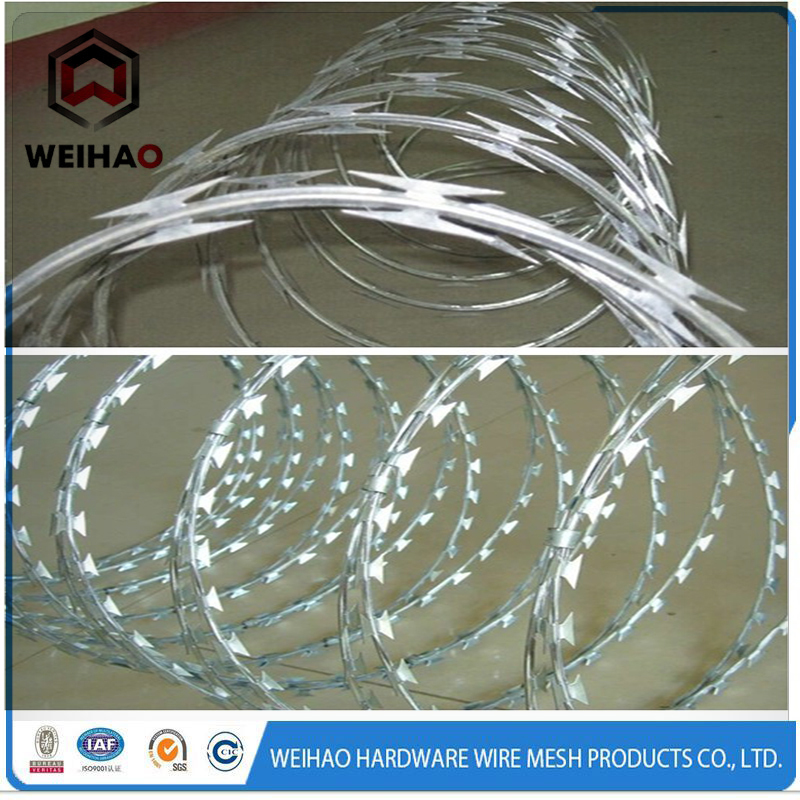 Barbed wire is one kind separation protection net woven by various knitting technology, and the barbs of it was twined around core wire by barbed wire machine. Uses: used for isolation and protection of grassland boundary, railway, highway etc.